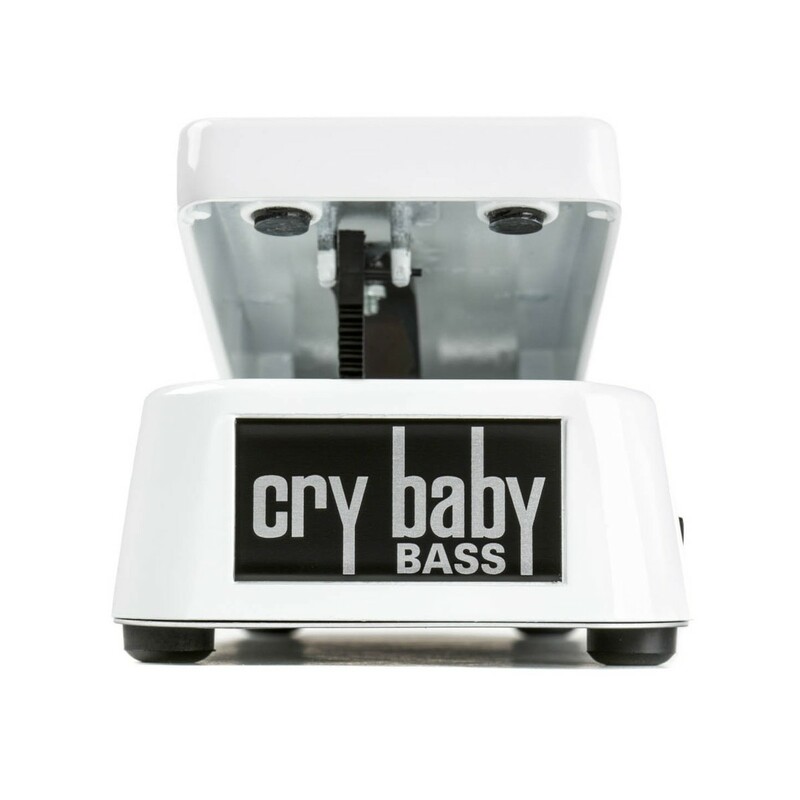 The Jim Dunlop CryBaby Bass Wah, White is the first wah-wah pedal designed by bass players for bass players. 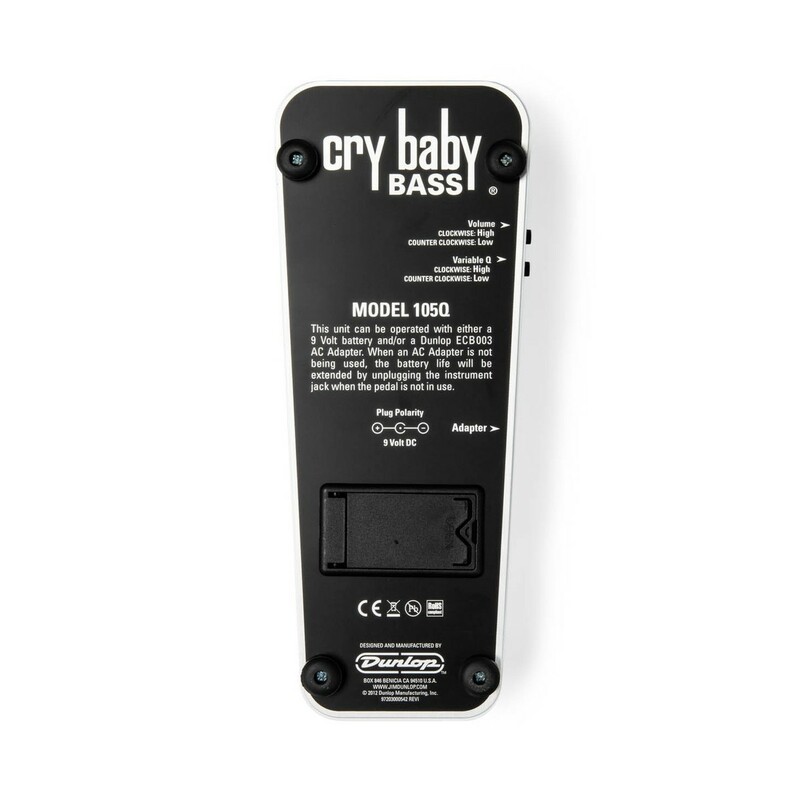 It incorporates a new proprietary potentiometer and custom EQ circuitry, specially optimised for bass frequencies. 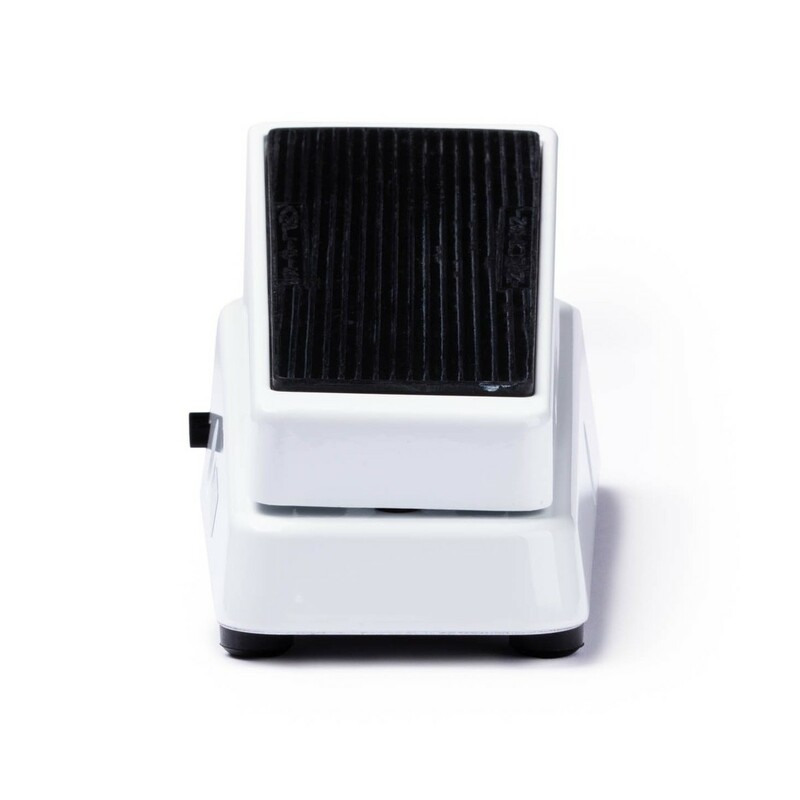 The pedal applies wah effects to midrange, highs and overtones, while leaving a strong fundamental to hold down the bottom. The CryBaby Bass Wah is used by Flea of Red Hot Chili Peppers, Rex of Pantera, Danny Saber and more. 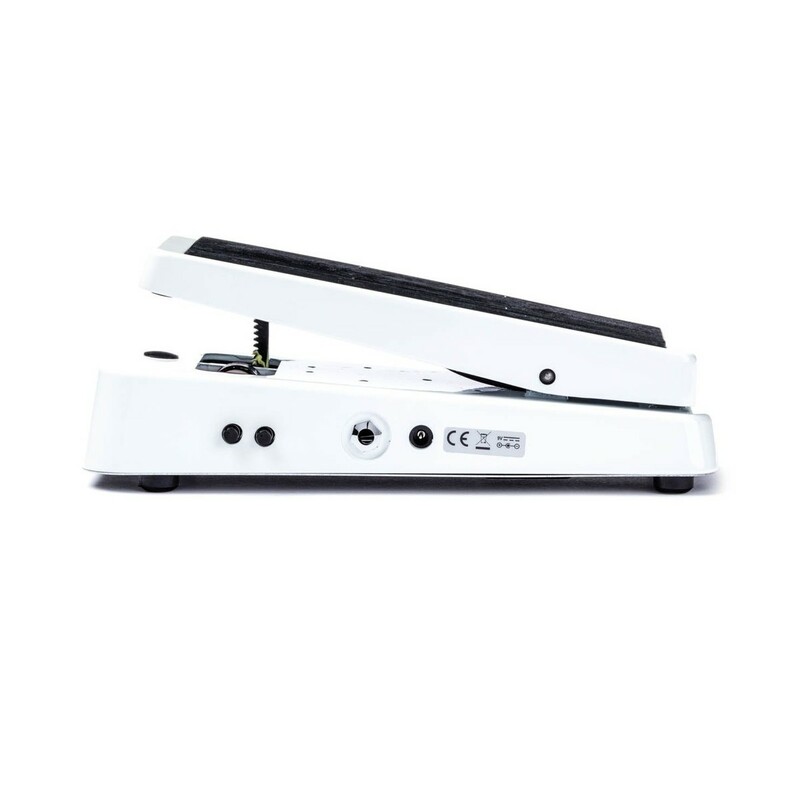 Controls: Pedal modulates sweep through wah effect, Silent "auto-off" switching automatically bypasses effect when foot is off pedal. 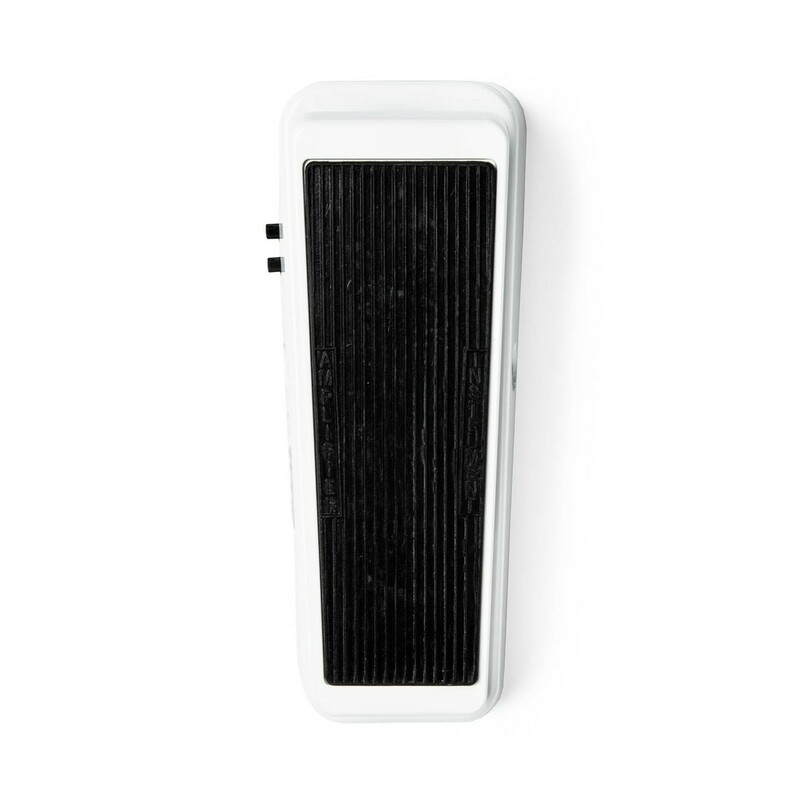 Adjustable volume boost knob, mounted on side. 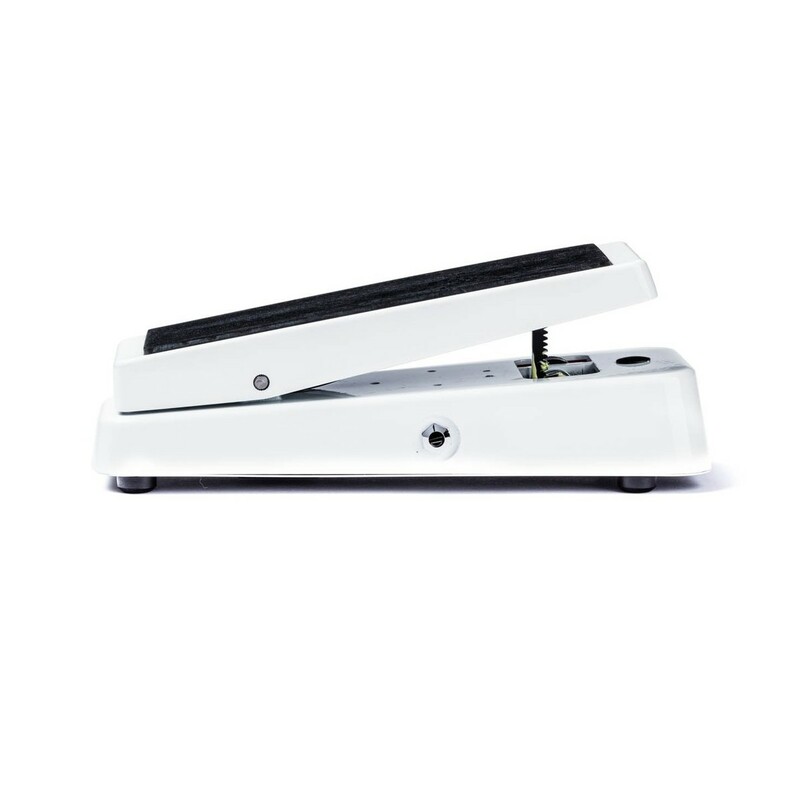 Adjustable "Q" control modulates frequency breadth of effect.